Christopher Todd Titus is an American comedian and actor who rose to limelight after starring in the show "Titus" on Fox network. Titus show was once described on Times magazine as a brutal, hilarious and audacious show. Despite the fact that his successful career boosted his fame, Christopher Titus personal life didn't go so smooth like other iconic figures. Titus' father shaped his childhood after divorcing his psychosis mother and grew up with his other siblings. Yet he managed to come out of the well forming his own blissful life with his wife following a hateful split with the first wife. Let's find out more about Christopher Titus' married relationship including his psychosis mother who killed her abusive husband. American Comedian Christopher Titus Married Life: Who Is His Wife? 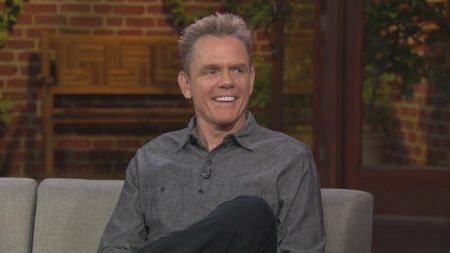 Like many other successful artists, the American comedian Christopher Titus encountered an inevitable circumstance regarding his personal and love life. Married twice, Titus relishes a prosperous bond with his second wife! Christopher Titus and his ex-wife Erin. Firstly, Titus star Christopher walked down the aisle with Erin Carden on April 17, 1991. Recommended: Comedian Billy Gardell married wife Patty Gardell in 2001. See their family relationship. They first met in 1988 and the couple dated for over three years before finally taking a big step to get hitched. Erin and Titus got a chance to become the proud parents of two children during their marital relationship. On August 25, 2001, his wife Erin gave birth to Christopher's first child, Kennie Marie Titus a baby girl followed by their son Jett Evan Titus in 2004. Everything went on fine with the lovebirds until something "like the dark spots of the moon" spotted between their chemistry. With some unclear misunderstanding and citing irreconcilable differences, Chris and Erin call it quits on June 6, 2006. Christopher Titus and his wife Rachel Bradley. But who knew, fate had another beautiful journey awaiting in his voyage! Yes! Christopher found a new love all again in Rachel Bradley. Nearly dating over a year, Rachel and Christopher Titus tied the knot in a low key wedding ceremony held on August 11, 2013. Happily, Titus lives with his 14 years old son and 17 years old daughter from his previous relationship with his wife Rachel. The lovebirds are so much into one another. His Instagram post celebrating Valentine's Day 2019 proves it all. Until the very end, we just wish a happy future endeavor to the loving couple hoping for good news about the couple adding more family member anywhere soon! The comedian Titus once bragged about his psychosis mom who is known to have killed her ex-husband. Is it true that she killed her ex? Let's find out! Christopher Titus brags about his mother. To note something peculiar at first, which many of them even admitted that Chris mothers ex was abusive. Yes, it was true indeed, but not for so long as she killed her husband and commit suicide in 1994. Titus made an appearance on Conan O'Brien's talk show where he revealed about his mother who suffered a mental disorder whose emotions were so impaired that her contact is lost with external reality. It's pretty clear from the interview that his mother apparently was a genius, but was also, schizophrenic, among other things who eventually killed herself. 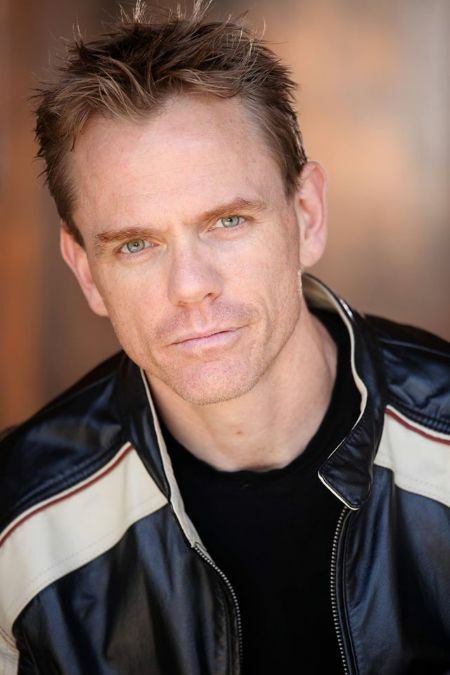 Christopher Titus was born on October 1, 1964, in Newark, California. Chris is one of three kids of Ken Titus and Juanita Titus. His parents got divorced while he was very young, his father won custody of keeping him over his psychosis mother. Christopher grew up with his two other siblings, Dave Titus and Shannon Titus in Castro Valley, California. As of 2019, Christopher Titus estimated net worth is $300,000.